for both you & your pets. * MEDICATIONS~ Make sure you are not low on supply. * EVACUATION PLAN~ NEVER leave your animals behind, they can not care for themselves! CA Bill AB 450 basically states...'If We Go, They Go!' Check out this bill, or the PETS Act of 2006 by clicking on the white box on your left. a point to know your community disaster plan & contacts in case you are not at home when a disaster strikes. your animals during a disaster. equine evacuation, or wildlife rescue. For injured & loose wildlife you may also contact: www.wildliferehabber.org to find the closest facility to you. a disaster there is much recovery time. Try to return things back to normal. This is very important for animals because they like routines. Be patient & soothing with them. * IF SEPARATED~ Don’t ever give up! Having determination, along with proper identification, proof of ownership, photos, etc. will help to reunite you with your pet much sooner. Use internet resources like www.petfinder.com & www.petamberalert.com for help. 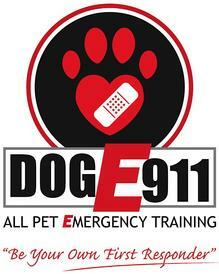 * FINAL NOTE~ Remember our animals depend on us...do not let them down by being unprepared during a time of crisis!